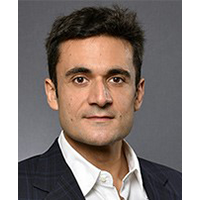 Dimitris Papanikolaou is Associate Professor at the Kellogg School of Management at Northwestern University where he began his academic career in 2007. His research interests lie at the intersection of finance and innovation. He works on a variety of topics including the measurement and valuation of intangible assets; the effects of technological shocks on asset returns, firm investment decisions, and income inequality; and the effects of financing frictions on investment and employment. Professor Papanikolaou holds a Ph.D. from the Massachusetts Institute of Technology, an M.Sc. in Finance, from the London School of Economics and B.A. in Finance from the University of Piraeus, Greece.